China Industrial Waste Management Inc.
China Industrial Waste Management, Inc. through its 90%-owned subsidiary Dalian Dongtai Industrial Waste Treatment Co., Ltd. (Dalian Dongtai) and other indirect subsidiaries, is engaged in the collection, treatment, disposal and recycling of industrial wastes, municipal sludge and sewage treatment, and environmental protection engineer services principally in Dalian, China and surrounding areas in Liaoning Province, China. The best performing sub-indices for the month were the China Hydro Index with a 6.5% gain and the China Wind Index with an 4.6% gain. The two weakest sub-indices through October were the China Environment Index and the China Waste Index that both recorded losses of 2.5%. The China CleanTech Index rose from 46.8 to 47.8 over the month of September recording a 2.0% gain. This compared to the NEX loss of 6.6%, the CTIUS loss of 6.9%, the Shanghai Composite gain of 6.6% and the MSCI loss of 2.9%. 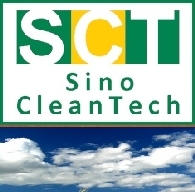 The China CleanTech 20 recorded a 1.9% loss. The best performing sub-indices for the month were the China Efficiency Index with a 13.0% gain and the China Storage Index with an 11.6% gain. The two weakest sub-indices through August were the China Waste Index which recorded a gain of only 4.5% and the China Water Index recording a gain of 5.5%. The China CleanTech Index recorded a 2.9% gain in May 2014 and outperformed all of its four benchmarks. The Index rose from 42.19 to 43.43 over the month of May recording a 2.9% gain. This compared to the NEX gain of 2.2%, the CTIUS gain of 1.4%, the Shanghai Composite gain of 0.6% and the MSCI gain of 1.6%.